Hey everyone! I have another layout to share today. 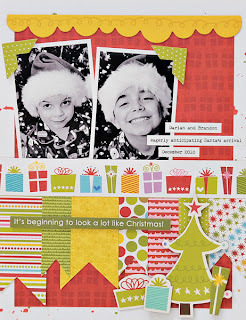 This one is using the adorable Christmas Wishes collection from Bella Blvd. 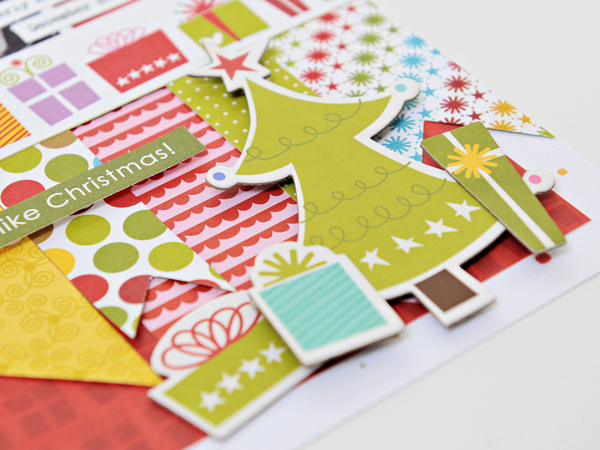 This is such a fun holiday collection - I love the bright colors and fun, whimsical designs in this line. 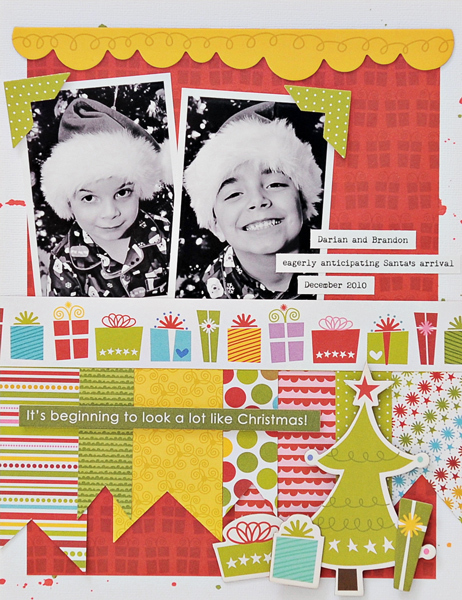 I created this layout as part of an inspiration challenge over on the Bella Blvd blog. To see the inspiration image and what some of the other Bella Blvd designers created stop by the Bella Blvd blog. I decided to change my photos to black and white so they would not compete with the bright colors of the papers and embellishments. The inspiration image had lots of banners so I decided to create a border of banners on my layout. 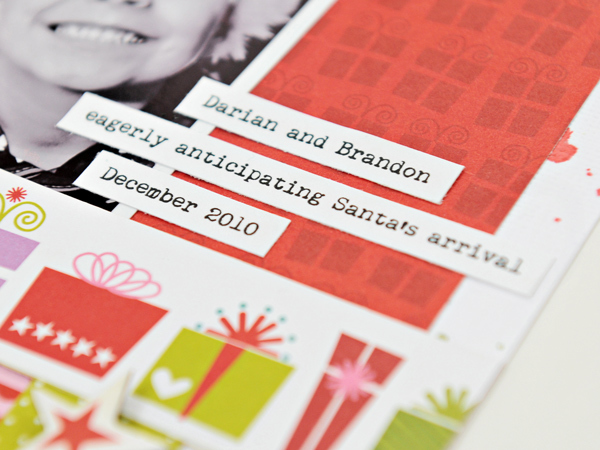 Creating these banners are so easy - just a few snips of my scissors and voila! I arranged some chipboard pieces along the bottom of my layout and printed out and cut my journaling into strips. I love your bright and whimsical layout!